Have you ever approached a crochet project that includes a square or rectangle shaped piece and you wind up with wonky edges? Or the dreaded trapezoid shape? I’ll tell you a quick story, my first ever crochet blanket attempt wound up being a trapezoid. I didn’t know where to place the first and last stitches in each row and because I wasn’t stitching in the right places, the whole thing quickly went downhill. I wound up with a blanket that was much smaller on one end and a lot of frustration. 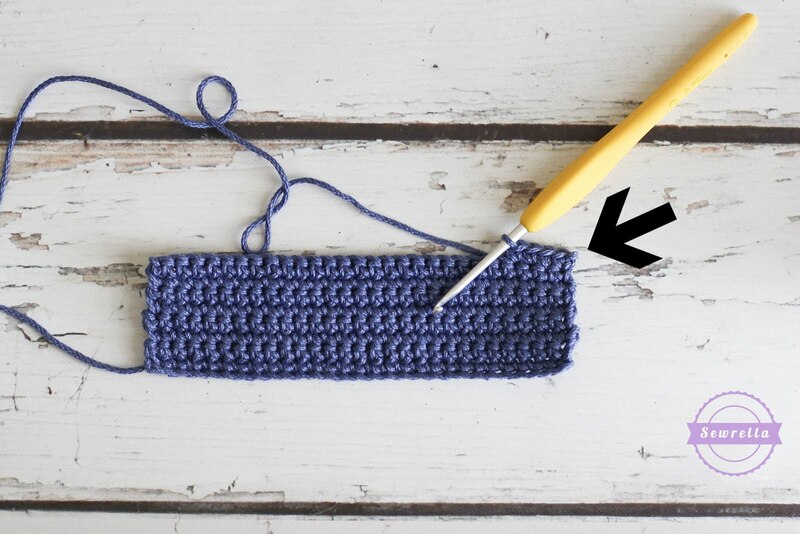 Follow this strategy with any crochet project – and be sure to share this tutorial with friends new to crochet! 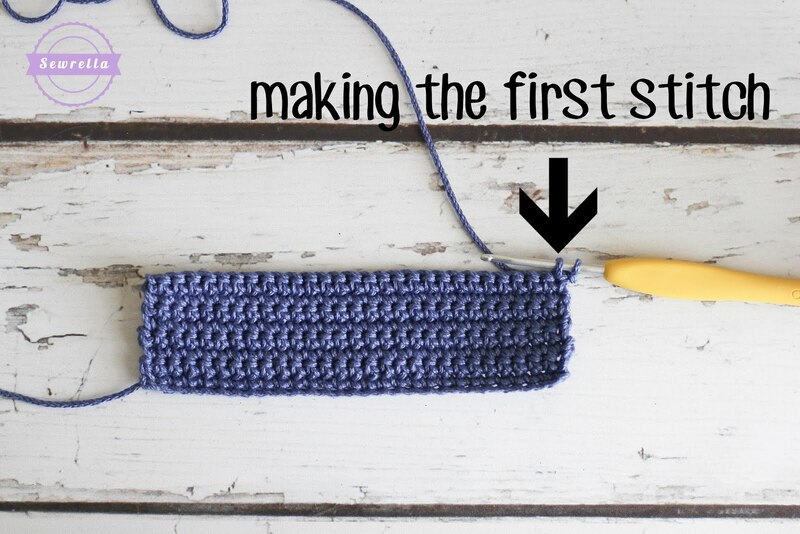 Also, you can follow this strategy from your first row above your starting chain but it is most important to just be consistent throughout your project – stitch this way on every row! Now stitch in every stitch across. Notice that as you keep stitching it pulls the edge on the right into place and is looking mighty straight! Now we are at the end of the row and have two stitches left – we will stitch once in each of these. BE SURE NOT TO STITCH IN THE TURNING CHAIN FROM THE ROW BEFORE! Now that all of our stitches are done for this row, all that’s left is our turning chain – Ch 1 and turn! Look at how pretty and straight those edges are – yay! I hope this tutorial helped you make super clean work! That was very helpful my problem is the sides I get to the end of a row and my sides are wonky some stick out while others dip in and I end up crocheting a chain around my work to hide the edge. So happy it could help ya! Not to mention, your photos are beautiful and clear and the accompanying instructions are as well. Thank you so much for the tute. I have just rediscovered crochet, tried a scarf and the ends were all over the place. Pulled it out and decided not to continue. This is so helpful, particularly with the photos. Can’t wait to try again. I can’t tell you how many times I’ve had to “frog” a project because my edges weren’t straight! Thank you for showing this. It would be helpful to also have thin in a video. Thank you very much for this tutorial. I finally have straight edges! Now I can make any pattern I want and not feel like a ninny because the edges gets all wonky! Thanks so much for this simple and easy to follow instructions! I am new to crocheting, but I have always had the desire to learn. I was wondering what I was doing wrong b/c my square was larger at the beginning and became shorter as I went along. My line was more slanted than straight. Now, I will practice the steps you gave and I believe my square will be square now. (LOL)! No wonder I never can get the rows to look neat. Tis wa a big help. 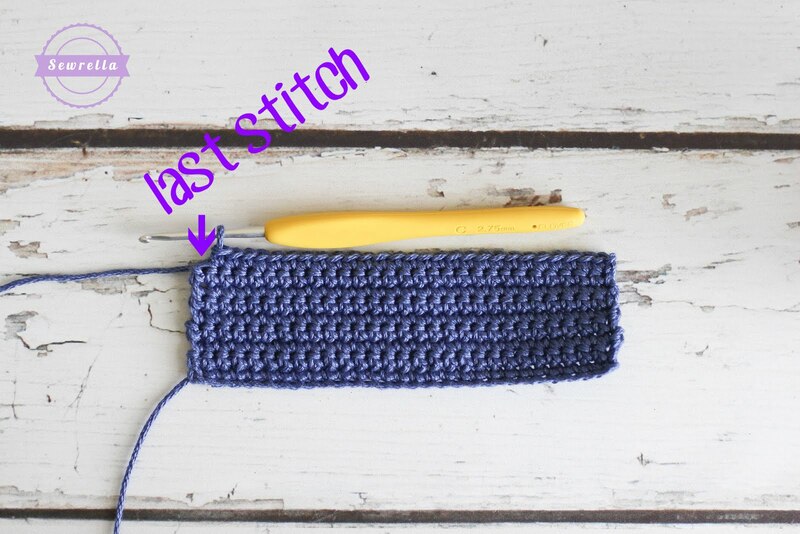 I like this simple and helpful tutorial of yours….I’m a newbie in crochet world and so eager to learn everything about crochet. 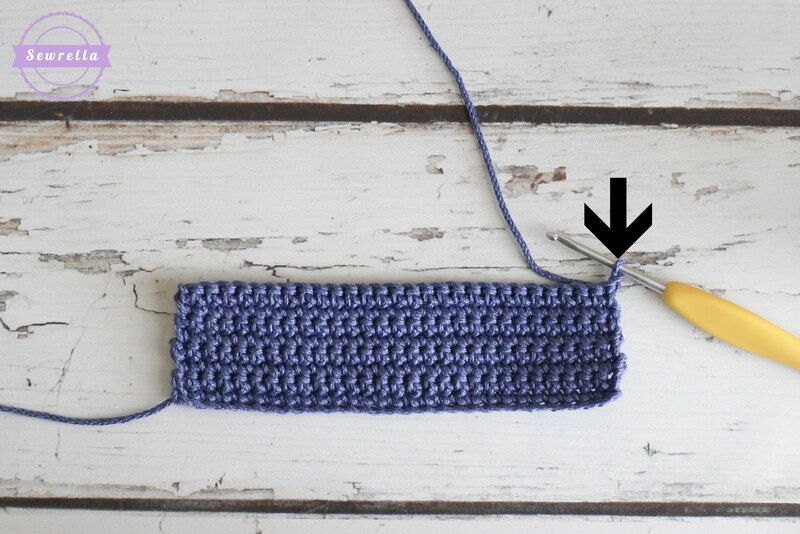 I wonder if you could make a clear and simple tutorial on how to crochet phone case, etc. At this moment, I’m trying so hard just to make a simple phone case but it always end up weirdly – fit in the bottom but getting bigger/larger to the top (I already count down each chain but still end up the same)- so frustrating that I feel like want to just give up. So, if you don’t mind, would you share some tips/tutorial/sugestion to solve my problems? Many thanks in advance! Makes so much sense. could not figure out why one side was straight but the other..not so much. Thank You so much for this! The pictures are hard for me to really see what’s going on. Is there anyway we could get video of this? Would most definitely help to see it being done in motion. Thank you beyond words. Bless you merry Christmas !!! My gifts will look perfect? Thx, but to clarify you start in the 1st stitch for ds and ts as well ? 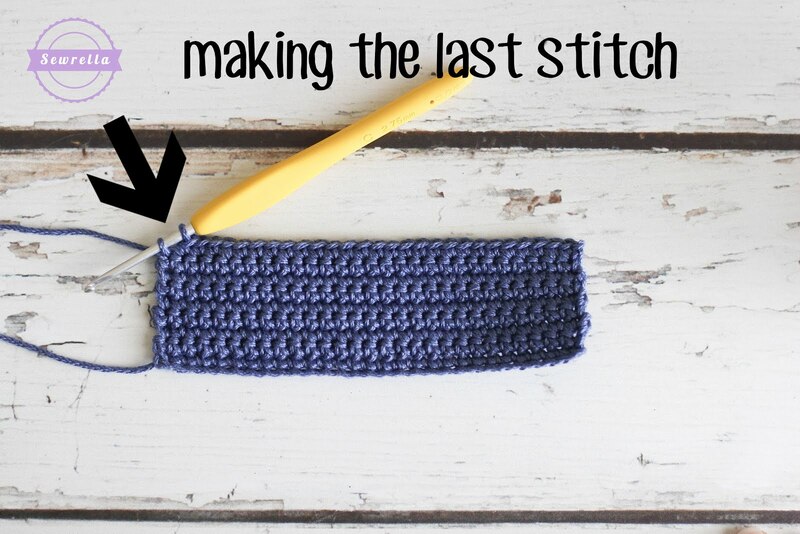 Yes, I follow this method with any type of stitch and it always works out splendidly! Thank you so much for being precise!!! I screwed up so many times! I am crocheting mats out of plastic bags and that was coming out uneven! I can’t tell you how many times I have ripped out!!!! Very nice. 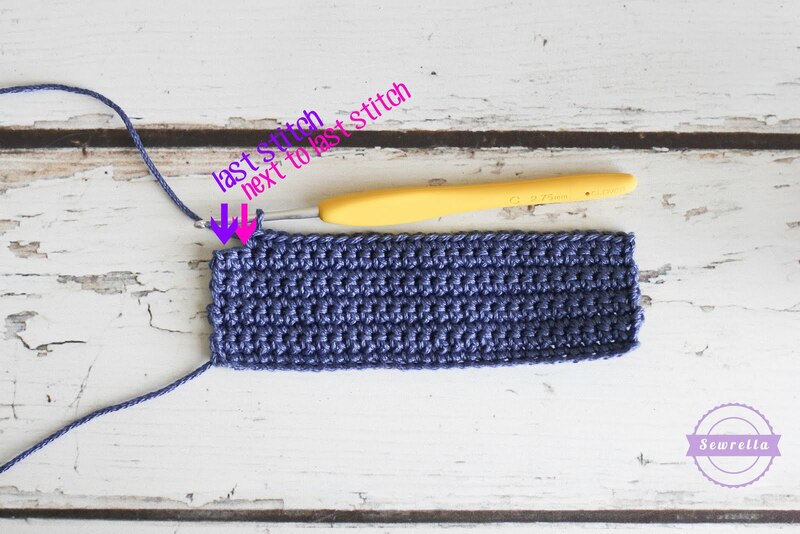 Can you this tutorial with double crochet? Can you show this technique with double crochet? Nice instruction :-). This is the way I teach sc to my beginner classes, so I’m happy to have a link to share with them for reference. Decades ago, when I learned to sc, the method was to skip that first stitch and sc in the turning chain from the previous row for your last stitch. It works, but it is hard to teach–finding the top of the turning chain is hard for beginners! Found you via Pinterest, pinning to my beginner’s board. Thanks! Yeah, that’s how I learned at first and I really struggled with it! I love making up my own rules with crochet 😉 glad it could help your class too! 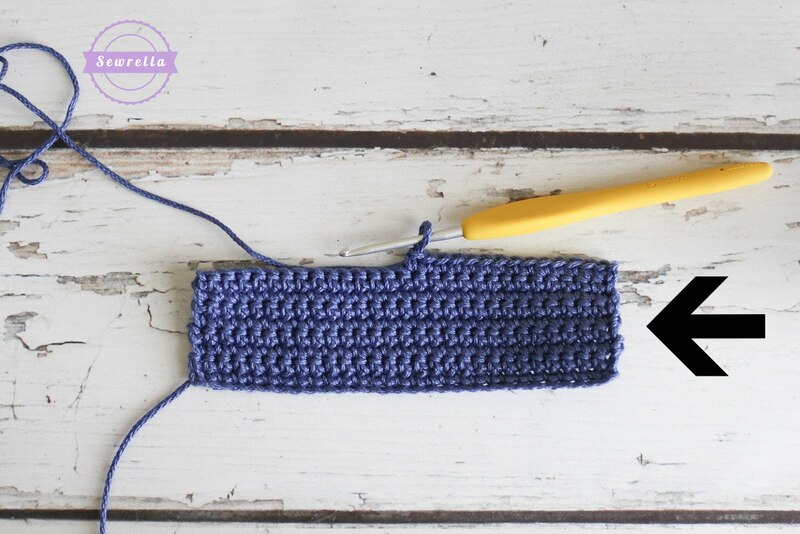 Do you have a similar tutorial if you are doing double crochets? Because then you usually count the chain as the first one and DO need to stitch into the chain at the end of the row- that is where I usually drop a stitch…. 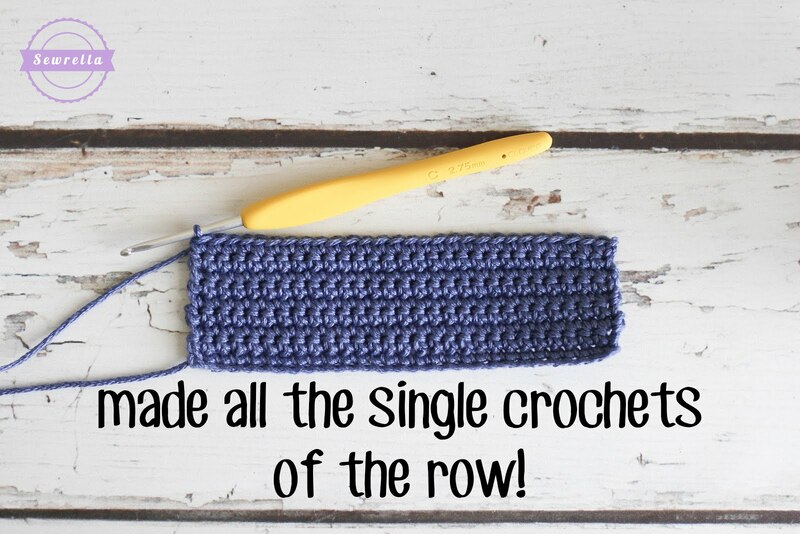 Some people do Double Crochets by counting the Ch as the first stitch – I never do! I follow this method no matter what type of stitch I’m working. Hope this helps! Thanks. I have been crocheting on and off for years but what I still don’t understand the pattern language. Can you please explain it. The only parts I do get is sc=single chain. dc=double hain and o forth but thats about t.
This was an excellent tip for me! Thank you! I have the hardest time keeping my sides straight, especially for big projects like blankets. It’s very frustrating. Very cool, thanks! Do you have any tutorials on Double chains? 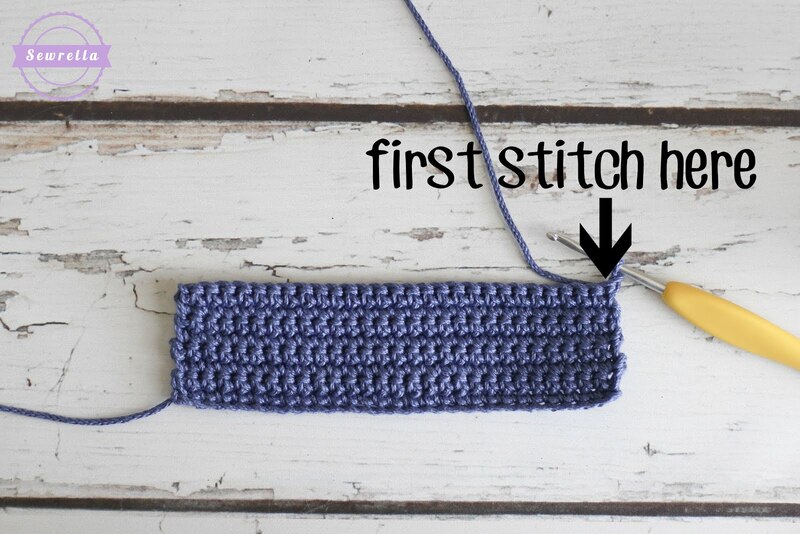 Do you start in the same first stitch or over one? 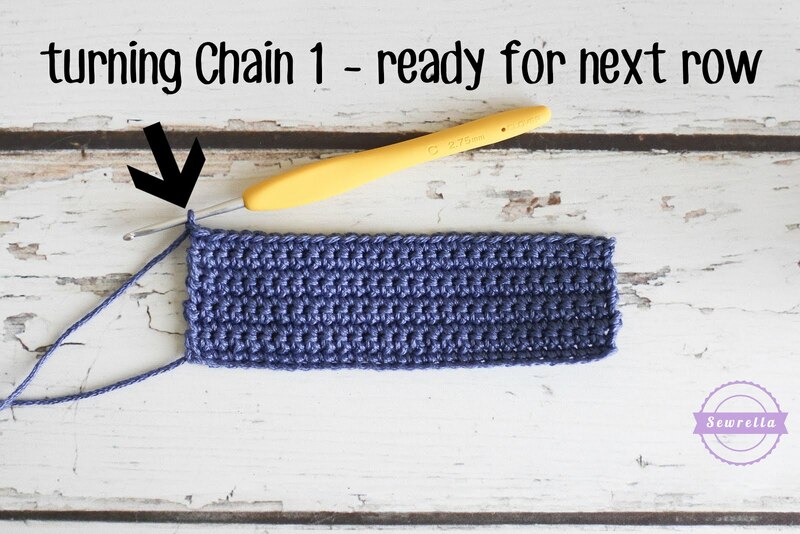 Start in the same first stitch with any type of stitch or chain length! Do u do the ch 1 & turn when doin dc? Wendy – yes but usually patterns call for a Ch 2 or 3 and turn when doing Dc. You will stitch in the same spots as pictured here, though. Is the last stitch a slip stitch? Nope, you are working the same stitch (in my case a single crochet) in every stitch across.